The bottom line is that fireworks are dangerous, even sparklers. Unfortunately, there are still thousands of people who are injured in firework-related accidents in Boston and elsewhere. In 2011, there were more than 9,000 people who were injured in these accidents. Another 4 people were killed by fireworks during the year. About 70 percent of these accidents occurred during the 30 days neighboring the Fourth of July. This year, residents are asked to be safe, be cautious and to leave the firework displays to the professionals. Our Boston personal injury attorneys understand that Massachusetts’ state law forbids all private citizens from having or using fireworks. In the state it’s also illegal to transport legally obtained fireworks, this means into or out of the state. Because of these laws, the rate of related injuries and hospital visits resulting from fireworks is nearly 5 times lowers than the country’s average, according to the Boston Globe. According to the U.S. Consumer Product Safety Commission (CPSC), most of the injuries from fireworks each year are caused by sparklers, accounting for nearly 20 percent, and firecrackers, accounting for another 15 percent. About 25 percent of all of these accidents and injuries occur to individuals who are under the age of 15. Regardless, people of all ages should be careful when they’re around fireworks. Accidents happen when people aren’t paying attention. If you’re venturing out on a Fourth of July vacation and your plans include fireworks we’re asking you to be safe, to be responsible and to use common sense. To help you, we’re offering you some firework safety tips from the CPSC. -Young child should never be allowed to handle fireworks. -Never purchase fireworks that come in a brown paper bag. This is a sign that they may have been made for professional firework displays and ultimately could be very dangerous for you. -Never place any part of your body directly over a firework device when lighting it. -If a firework doesn’t light don’t attempt to relight it. -Never point or throw fireworks at anyone. -Always keep water nearby, whether from a hose or in a bucket. 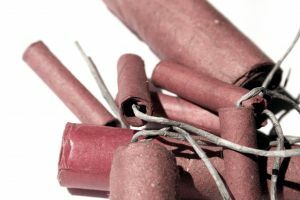 -Never shoot fireworks off from a metal or glass container. -Never use fireworks in areas where they’re illegal. For a list of firework displays in and near the Boston area, you can visit the Boston Central website. Many towns celebrate on different dates and at different times, so it’s easy to find a display to fit your schedule. If you or a loved one has been injured or killed in an accident in Boston or in any of the surrounding areas, contact personal injury attorney Jeffrey S. Glassman to set up a free and confidential consultation to discuss your case. Call 877-617-5333 today.